Whatever emergency strikes your home or office simply call us. Orange County Construction is licensed and locally owned. We specialize in ‘Emergency Fire, Smoke, Water, Storm damage restoration and more. We reside in Central Florida and will be here to handle your needs now and in the future. You can always count on OCC911 to be ready to handle your emergency response or construction needs 24/7. Emergency Restoration or Construction: No matter what your immediate needs, Fire Restoration, Board Up Services, Storm Repair, New Construction, Renovation or more, the team at Orange County Construction will be there to help you work out the details. When it comes down to choosing a company to handle your restoration or construction need. look to a firm that is rated highly by reputable grading firms like the BBB and Angie’s List and be sure to check referrals. When it comes to serving you … WE CAN! With over 20 years of experience in the construction business, our portfolio provides commercial and residential construction services across Central Florida. 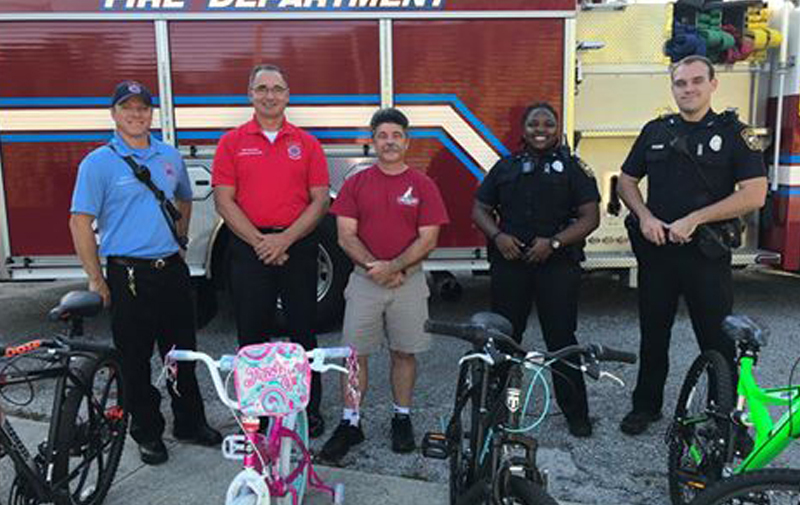 Apopka firefighters are cranking up the holidays for deserving children, thanks to Walmart, 1-800-Boardup, Spin City Cycles, the Apopka Firefighters Association and the Apopka Police Department. With offices across the entire United States, 1-800-BoardUp is the LEADING company in America to handle emergency boards for properties. A simple fire, vehicle collision into your home or business or more, exposes your contents to all who desire to take it as well as the elements of nature. Protect your property and know it will be handled by people who specialize in Board Up services. Call us now! All staff and superintendent was knowledgeable, responsive and helpful. All were timely and professional. Wonderful company and wonderful people! I will recommend to a friend. Thanks for everything. This is the BEST company and prices we can find. Scott Cipri made himself available to answer questions promptly. Highly recommended! Thank you such a quick and professional service at our new home. We love your team and look forward to working with you again soon! Thanks for a great job! Thanks! The floors and the shower enclosure look AWESOME! Luis, who did the floors and the enclosure as well as all the installers, were very polite and professional. Thanks for being professional and on time. Keep up the good work. You would be amazed at the lack of professionalism within the businesses in Central Florida. I will definitely want to use your services for the other work we have discussed.